Implant dentistry treatments are often considered the gold standard when it comes to restoring your bite. If you’re missing a tooth or need to have a tooth pulled, visit Dr. Foad Farhoumand and Dr. Farah Farhoumand and their team at Farhoumand Dentistry in Vienna, Virginia. They can evaluate you to see if you’re a good candidate for a dental implant and schedule your treatment. Schedule your implant consultation by using the online scheduler, or by calling the office. First, your dentist will evaluate you to ensure you have enough bone and gum tissue for an implant. Once you're approved, you will schedule a surgery date. During surgery, your dentist will place a titanium implant into your jawbone. This implant will serve as the base to hold the new tooth you will get in the future. After the surgery, your gum and bone tissue will need time to heal and bond with the implant. This process usually takes 2-4 months. On your next visit, your dentist will permanently bond your crown, bridge, or other fixture. In some cases, you might need an additional appointment so you can get any adjustments if you’re noticing discomfort or abnormalities in your bite. Often yes, although it depends on the health of your gums and strength of your jawbone. Dr. Foad and Dr. Farah can perform a single implant procedure, or place several implants, often in the same visit. If you’re missing several teeth or need your last few remaining natural teeth pulled, you could be a candidate for the revolutionary All-on-4™ or DIEM® implant treatment. This option allows you to replace an entire arch or both arches. With All-on-4 or DIEM, your dentist will surgically place 4-6 implants in your arch. They can design a full prosthesis right in the office and snap it into place so that you can leave your session with a full set of teeth the same day. Between the titanium implant and the durable porcelain and ceramic tooth materials, you can expect your dental implant — or implants — to last a lifetime. Surrounding decay or tissue degradation can lead to problems even though these materials don't decay or break down. For instance, if you have a nearby natural tooth that is starting to decay and winds up becoming an abscess, the underlying infection can damage your gum tissue. This can weaken the integrity of your jawbone or gums. 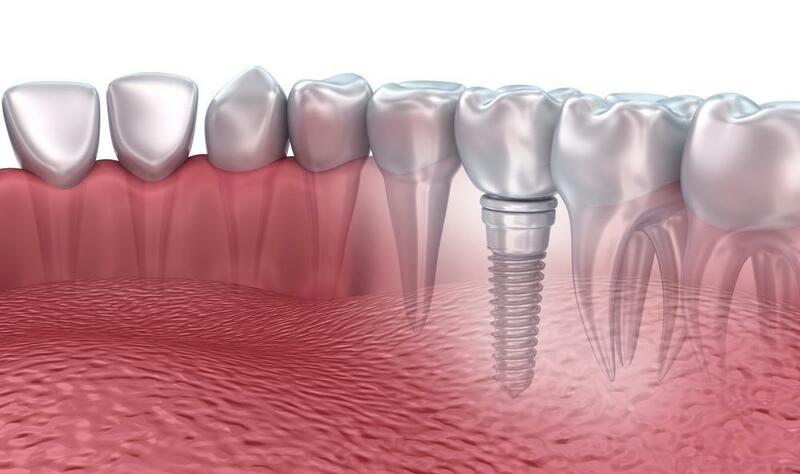 Without proper treatment, your dental implant can loosen over time. While your implant dentistry treatment doesn’t require any special care once you’re healed, it’s imperative that you follow optimal oral hygiene habits to keep your gums healthy. Dr. Foad and Dr. Farah can teach you how to clean around your implanted teeth thoroughly. Book your implant evaluation at Farhoumand Dentistry online or over the phone today.